Polar Vortex or not, Kings Island refuses to stop. 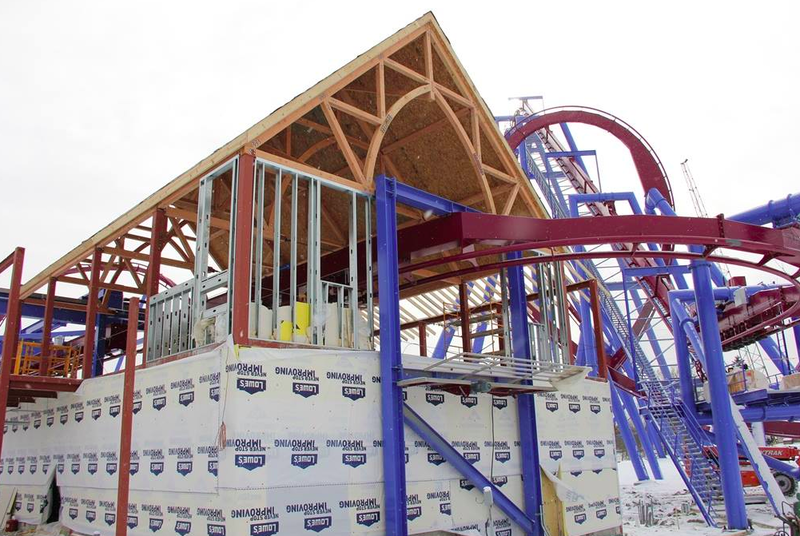 Today on their Facebook Page we got a nice shot of Station Construction on the new, world record breaking roller coaster, Banshee. Honestly, this coaster is just looking more amazing with each new photo they post. We are still waiting on news about the track being completed and about the trains for the coaster arriving. Nothing yet! ...if I squeal any louder about how much I already love this thing without riding it, Kings Island may have to start paying me. I suspect Montu may have a fight on it's hands to keep the title of "Carrie's Favorite Steel Coaster".